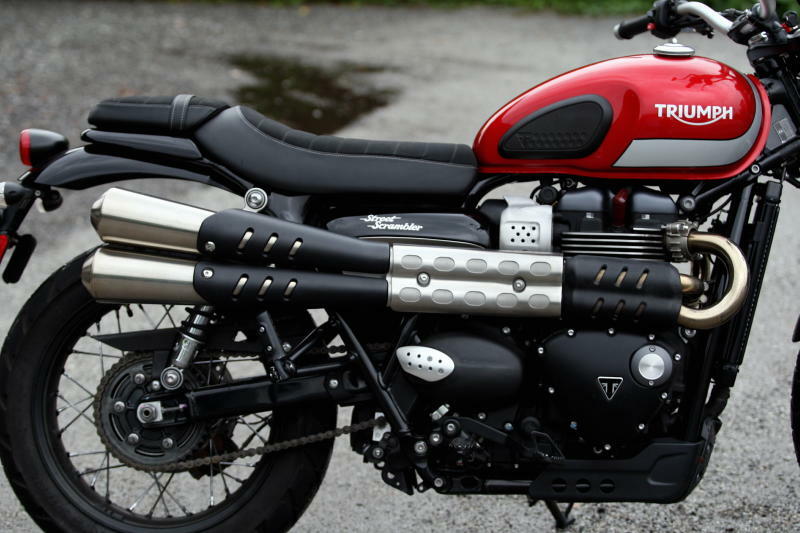 Triumph Motorcycles has been making waves with their modern classics. 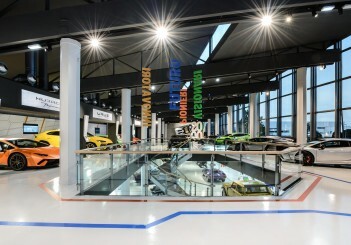 Its designs have been well received by riders around the world who adores the original look of the yesteryear. 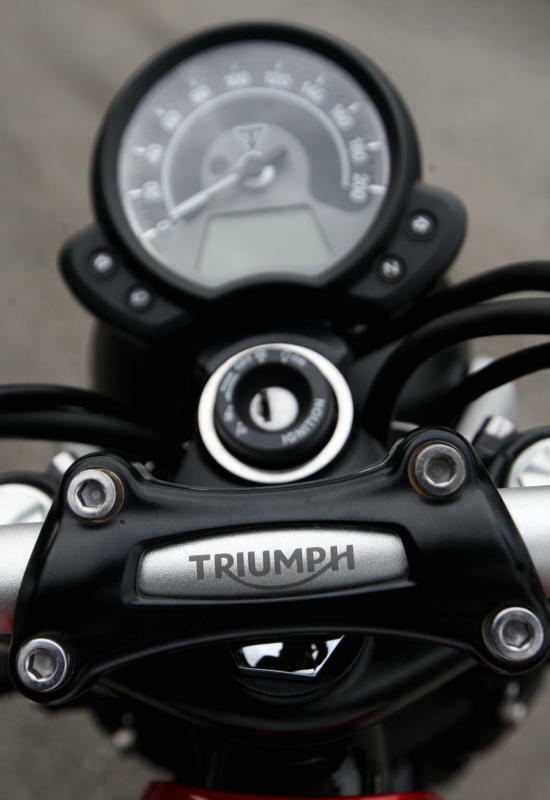 Modern Triumph engineering has made their range of classic motorcycles as reliable, engaging and as useable every day as any Triumph. 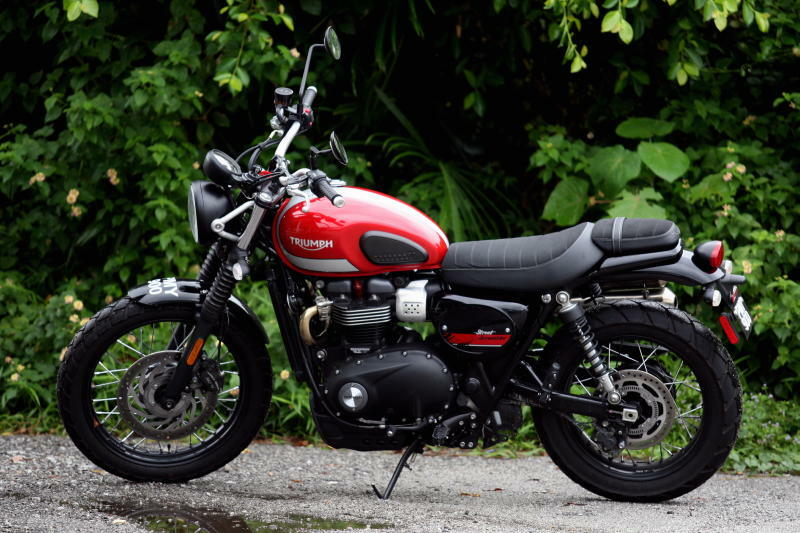 The modern classic which I reviewed recently was the Triumph Street Scrambler, priced from RM65,900 and powered by a 900cc engine. 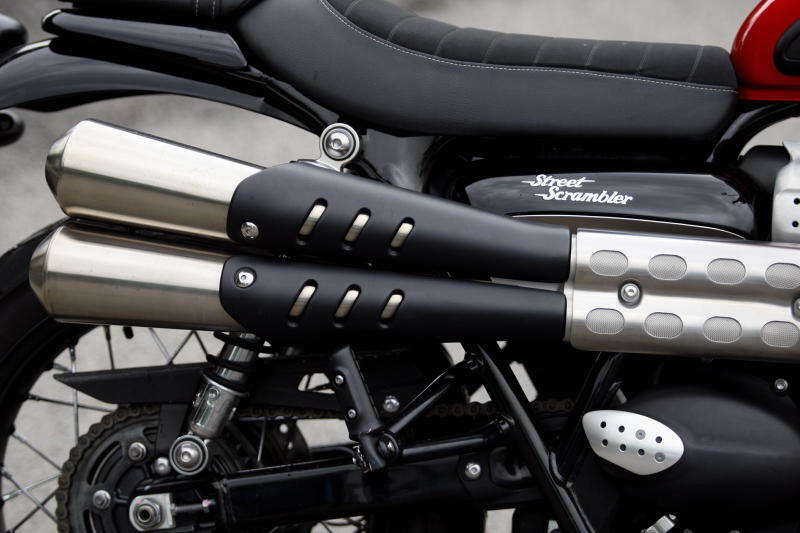 The Street Scrambler has definitely retained every single bit of the Scrambler’s classic and timeless design. 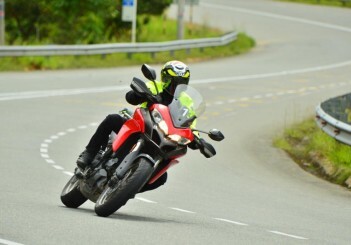 A good example is the long and wide saddle, which had ample room for me and my pillion rider. The sleek tank with functional rubber knee pads on both sides of the tank are extremely useful when one decides to ride hard with winding roads. 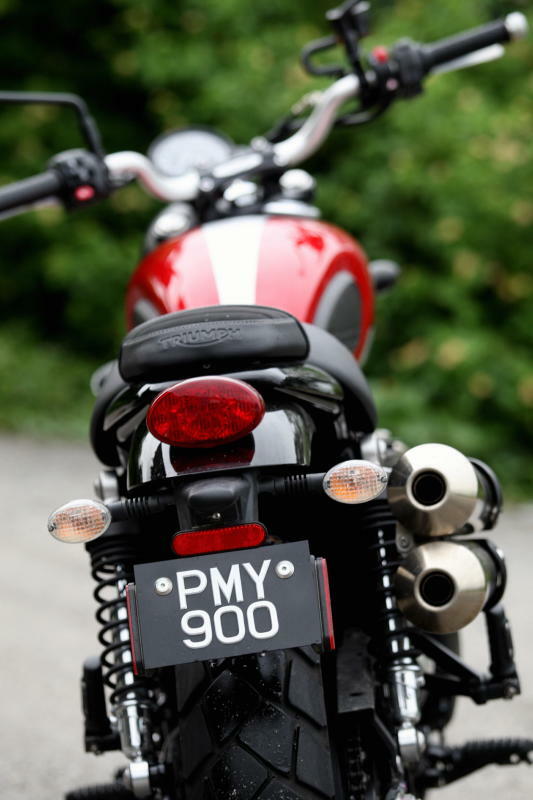 Not to forget the must mention part of the bike is the double exhaust pipes, one stacked on top of the other which further enhances the rugged look. 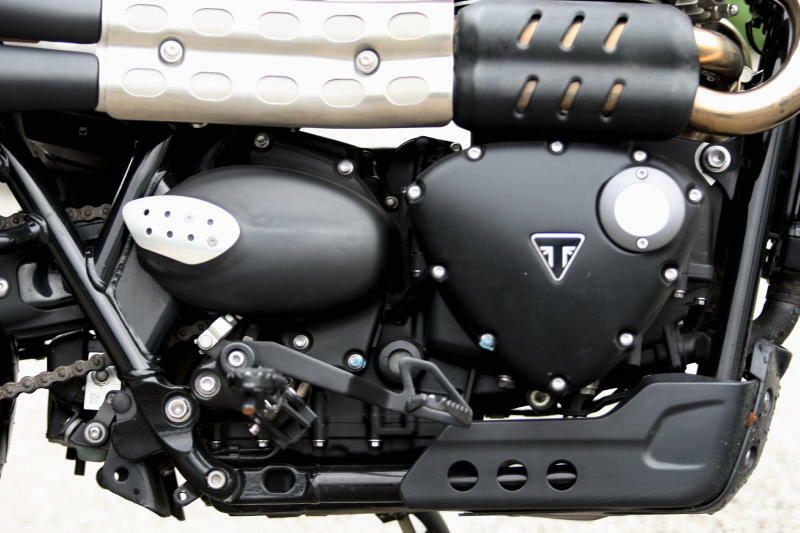 To ensure the classic looks, designers at Triumph has hidden the catalytic converter between the exhaust and the engine. Bravo! I was told there are about 150 different accessories for the Street Scrambler which allows any owner to customise the motorcycle to his heart’s content. 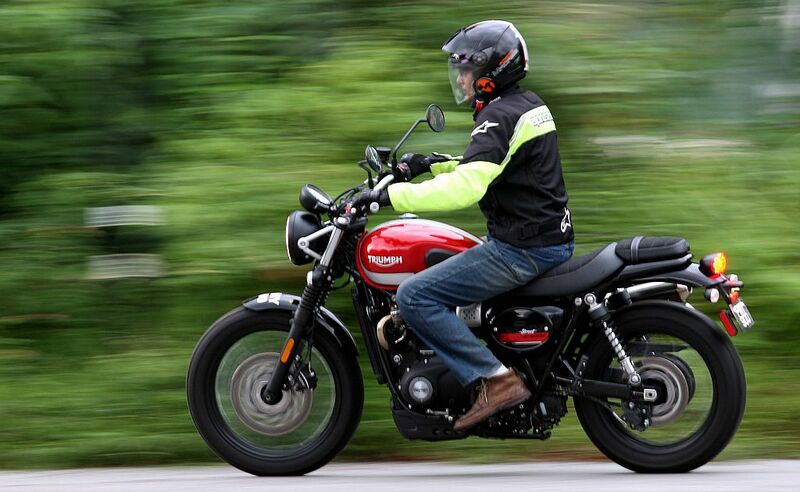 One thing I must caution readers here is that, the Street Scrambler is not a “serious” off-road bike rather it is designed to tackle unpaved tracks like dirt roads, plantations trails, beaches among others. But this bike is definitely at home on open roads. No doubt about that. I rode the bike on a rubber plantation and I must say it performed well. The bike is light, weighing at 200kg thus making it agile and easy to manoeuvre on the rough trails of the plantation. 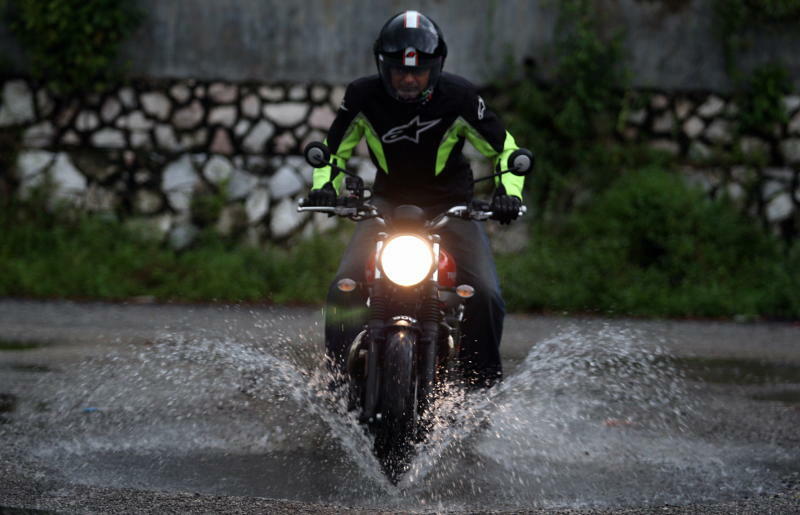 The riding position of the Street Scrambler is very much upright and the wide handle bars is perfect especially when I was riding in the rubber estate for a good one and a half hour. The wide bars allowed me to have maximum control over the bike, like a jockey on a horse. 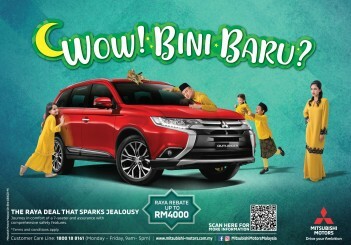 The front suspension travel of 120mm is able to soak all bumps and humps easily. My buttocks and back did not ache at the end of the thrilling one and a half hour adventure on that plantation in Kuala Selangor. Complementing the front suspension is the rear KYB twin rear shocks that comes with adjustable for preload delivering the same 120mm travel like the front. On open roads, this handsome looking fella is at its best. 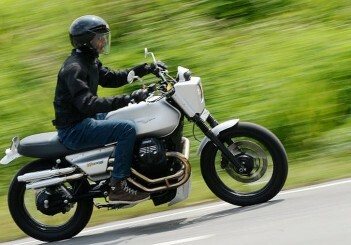 The Street Scrambler’s engine is torquey but very tame unlike the Speed Triple or Street Triple. 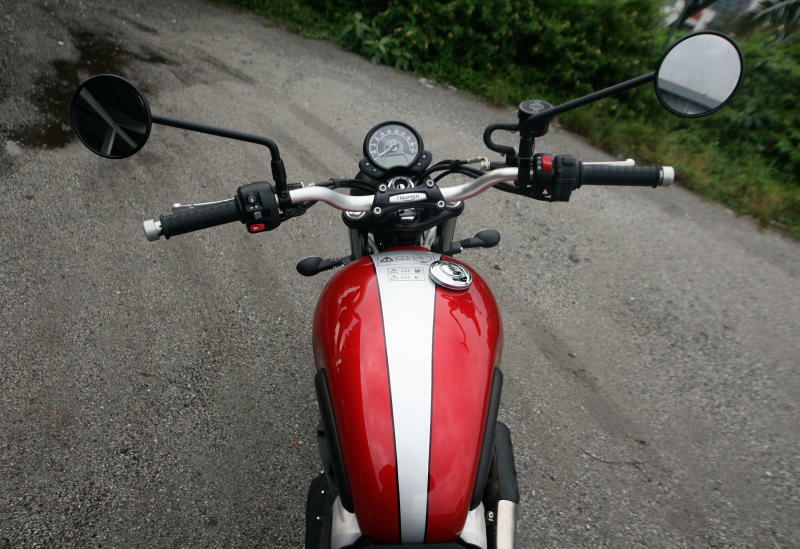 The Scrambler delivers a manageable 54hp at 5,900rpm and 80Nm of torque 3,230rpm. Power delivery is linear and enough to satisfy anybody’s need for speed but of course the Street Scrambler much slower than the Daytona. I hardly used the fifth gear on the highway, most of the time I was cruising on fourth. 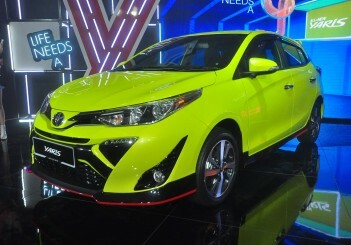 With the engine speed from 3,200rpm and onwards, my ride becomes very interesting. Every time I twisted the throttle, power surges in for me to conquer the open road easily. 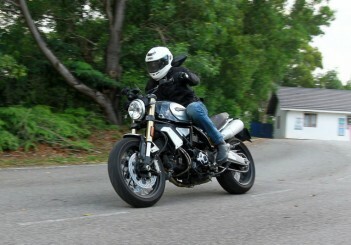 Even when I drop the engine speed to 1,500rpm, the Street Scrambler does not twitch and the ride remains pleasant. 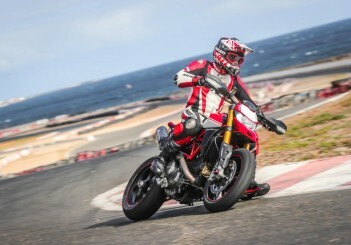 The smooth and precise handling gave me better control; and these are largely due to the ride-by-wire system, where the throttle response is at its best. 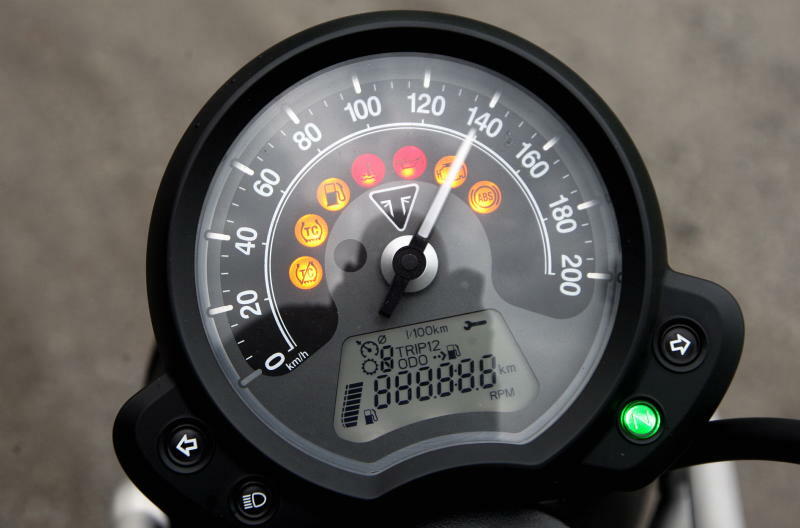 During a rush hour ride in the city centre, the Street Scrambler is able to do countless stop go without stalling the engine. Be it on the first and second gear, I was able to weave through the traffic without any strain on the bike. The upright sitting position gave me good visibility during my daily commute, thus weaving through traffic was enjoyable. 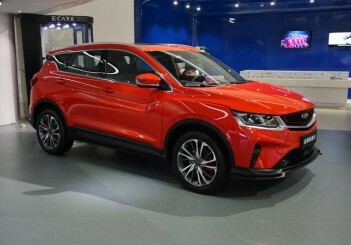 And the 120mm suspension travel was more than enough to absorb all the potholes, humps and cracks on roads in the city. While riding up to Genting Highlands, I was very impressed how easily the bike handled all corners and managed twists and turns gracefully. The Street Scrambler is equipped at the front with a Twin pot Nissin calliper biting the single 310mm disc and meanwhile the rear is the same twin calliper with 255mm disc. 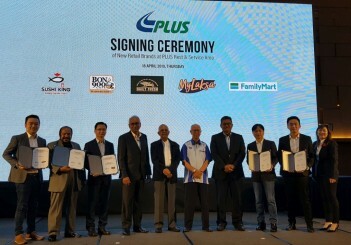 The bike also comes with switchable anti-lock braking system (ABS). My overall experience on the brakes has been pleasant. The Nissins did very well in stopping the bike. This is one great bike to commute and whiz through any traffic challenge plus a very reliable interstate tourer. A comfortable bike, be it as a single or with a pillion rider. 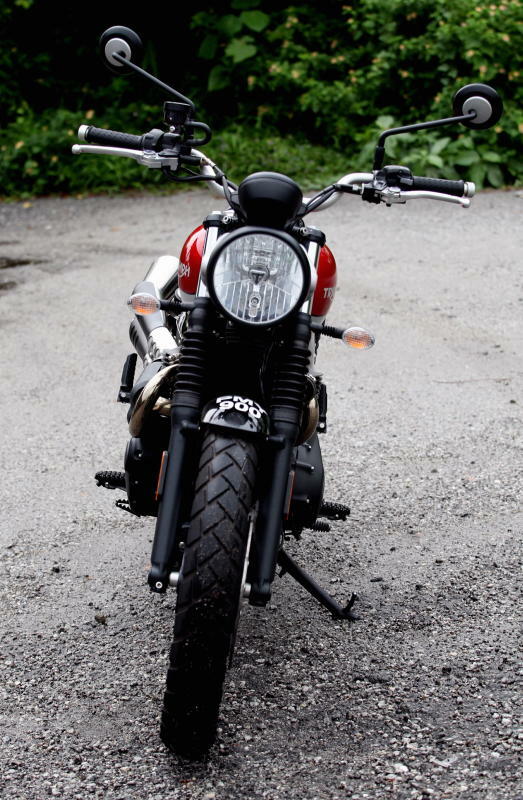 It will not be too much say that the Street Scrambler has a split personality, the manners of a gentleman and the image of a bad boy, all at your command.